Wanted to play around in Fabrik again but got this error when trying to install. I had to uninstall the 2o some plugins that some with this component. I downloaded the master .zip file from Git Hub. This didn’t install well. Missing XML file error. I finally just used the Joomla Web Installer. It installed version 3.6 of Fabrik and worked well with my Joomla 3.7.2 core package. Co-worker showed me this site to install a bunch of common programs without having to go to each site and click through the setting. I started a blog at work and have other staff contributing. I noticed my display name was my login name. Not really what I wanted. I started by putting in my first and last name like the other contributor did, but it was still my login name as the post author. The following link lead me to switching the author on the post. The option to change author wasn’t present, so I went up top of the screen and selected “screen options”. “Author” was unchecked. Once checked I could see below where I could switch the author; however, it was still my login name. The next link got me my final answer. In my actual profile I had to go down to “Display name”. In the dropdown I was able to select the name I wanted with the posts. The Joomla 3.7.1 update came yesterday and I really wasn’t expecting a new update so fast. I had 1 issue with the 3.7.0 update and T3 Framework plugin, but I upgraded the Framework plug-in and everything was fixed. I upgraded a dozen sites to 3.7.1 so far and no issues. 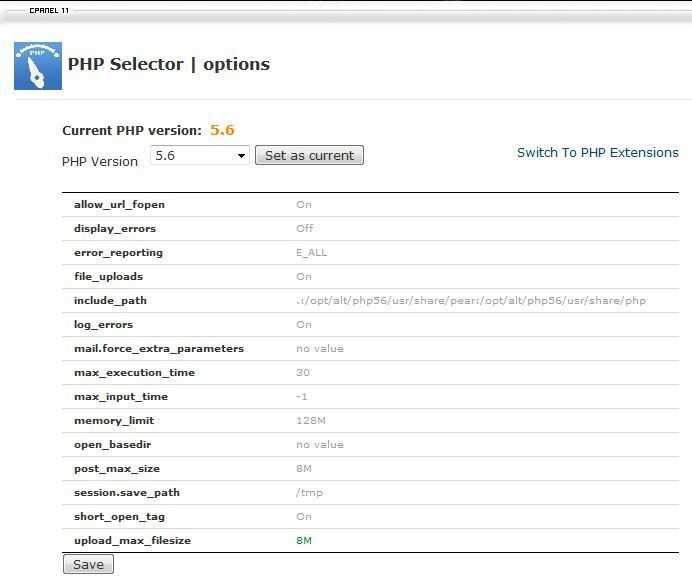 After upgrading my Joomla sites to 3.7 whenever I log into the back-end I get a warning that my PHP will not be supported in another year. My friend at BMoreCreative showed me to turn this off. Once logged into the administrative area go to Extensions >> Plug-ins. Do a search for “quick”. I purchased this theme last year and it has been great. I upgraded to Joomla 3.7 and the K2 content modules broke. They would display all the posts at once. I fixed this issue by uninstalling the T3 Framework plugin, downloading a new version, and installed the new version. Totally fixed the issue. I needed to update to Joomla 3.7 and every time I did it ran an Akeeba backup. I already ran the back up before I started, so I just wanted to update the Joomla core. You can do this by go into the Administrative area >> Extensions >> and Plug-ins. Look for “System – Backup on update” and uncheck it. This article helped me solve this. If often get asked why someone would attack a website. It is often for financial gain. If the attacker can get a hold of your credentials then they can impersonate you on-line. Meaning if they get your bank credentials they will have access to your bank. If they get your Apple ID credentials then the can access you Apple account and buy stuff. 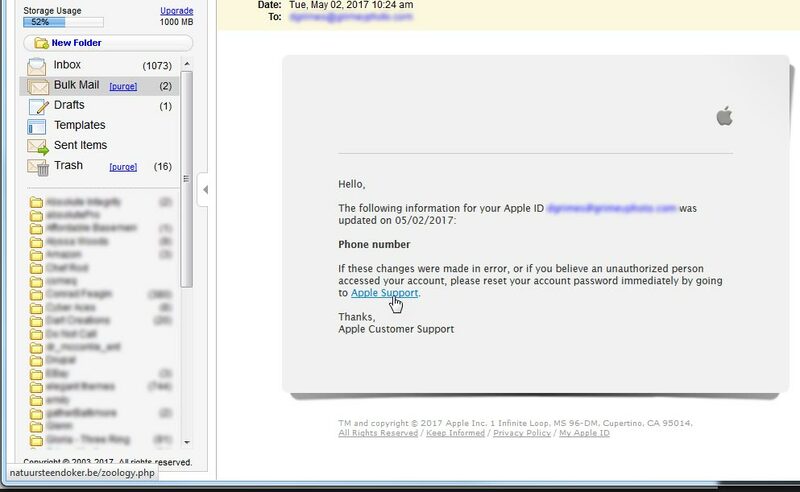 I got an email from Apple today to login to my account. In this image you can see that when I put my cursor over the hyperlink in the email it is going to “natuursteendoker.be/zooology.php”. I see attacked websites with strange named PHP files with redirects in them. This can easily redirect a user to site ready to deliver a malicious payload or virus. Could be a key tracker that phones home with each key stroke or screen captures every 5 seconds. I got the notification that all my Joomla installs were ready for the 3.7 update. I started with test sites and then moved my way to my productions sites. I have updated 12 sites so far and no issues. I even I have felt that the sites were running quicker. I truely feel the the 3.X versions of Joomla started out slow and have gotten faster. I feel like it is safe to update your Joomla installs.